Use our payment calculator to estimate your monthly Mazda finance payments or car finance payments for a Mazda3, Mazda CX-5, or any other vehicle that catches your eye. If you have any questions about your monthly finance payments or auto finance payments, reach out to our auto finance specialists. 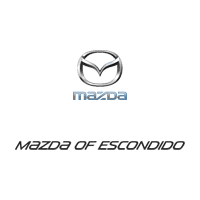 They’ll be happy to tell you more about calculating the trade-in value of your current vehicle and taking advantage of our dealer incentives or any Mazda offers around Escondido. Contact us to get started today!